Pour a tipple or two with our barware, serve cheese and crackers using our range of serveware, or relax with some freshly brewed coffee, whatever your flavour #VonShefMakeIt. It’s the most wonderful time of year again, and here at VonShef we’re all about coming together; catching up with those you don’t see enough, celebrating with those you see every day, and meeting new friends who’ll soon become old friends. Whether you’re hosting a family get-together, a work do, or a festive feast for friends, we’ve got something for every seasonal soiree. 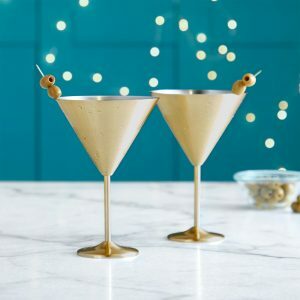 Welcome your guests with a delightful cocktail, served in a stylish Brushed Gold Glass. 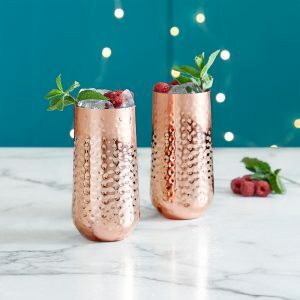 The perfect serve is key – of course – and we wouldn’t want any festive faux pas’, which is why we have designed a range of glasses, ranging from Highballs to Martini Glasses, even a few cheeky shot glasses. 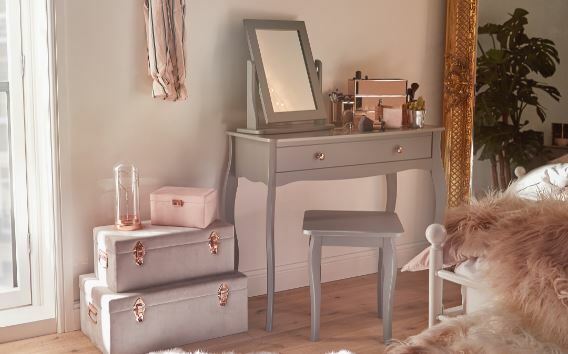 You can take on the role of mixologist, using our range of Cocktail Shakers and kits, allowing for a bespoke cocktail for each lucky visitor. 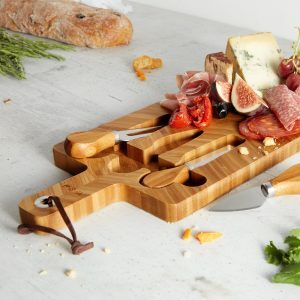 A party wouldn’t be complete without a few light bites, which can be served in style using our trio of Hexagonal Bamboo Boards, or our Jigsaw Platter – adaptable to take on any shape. 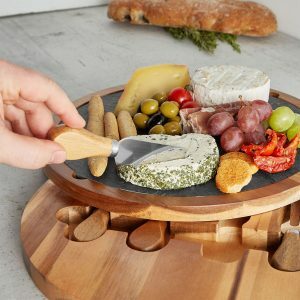 Use our Herringbone Cheese Board or Round Slate Cheese Board to present an array of fresh cheeses, breads and winter berries, or for those feeling adventurous, an amuse bouche of bite size festive treats. 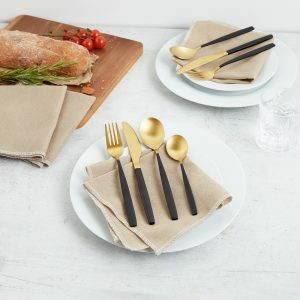 When seating guests for a dinner party, you needn’t worry about trying to match up old knives and forks – Christmas is all about putting your best foot forward, so why not treat your guests to ultra-stylish Black & Brushed Gold or Copper Cutlery Sets. Match the tableware perfectly by serving each guest a cocktail in a Brushed Gold Glass, accompanied by an Etched Gold Tumbler, and line the table with a couple of Gold Water Jugs to avoid thirsty diners! 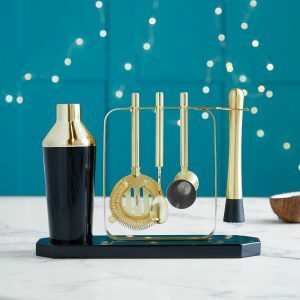 Finally, when the time comes for dessert, present your showstopper with our Slate & Brushed Gold Cake Stands, and don’t forget to wind down the evening with a winter warming coffee, served from our range of metal framed French Presses, topped off using the Copper Milk Frother, and our range of stylish Milk Jugs. However you do it this Christmas, make it count and #VonShefMakeIt. BEAUTIFY Shapes up for a relaunch!